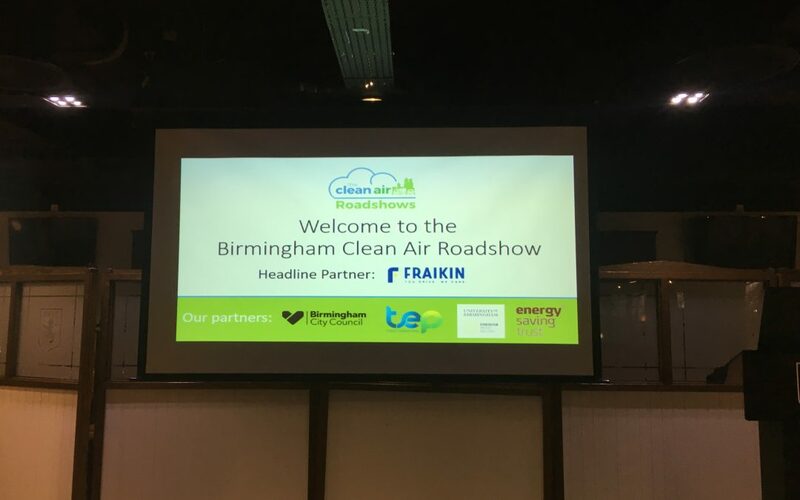 On Thursday 11 October representatives from Birmingham City Council presented their findings on the Clean Air Zone (CAZ) consultation to Birmingham’s fleet and haulage companies. 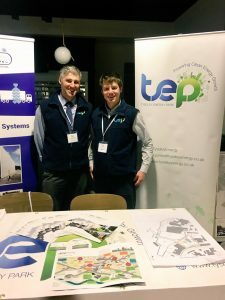 The second in a series of events supported by the council and Tyseley Energy Park (TEP), together they are striving to help local haulage companies prepare their fleets for the CAZ. Local Councillor Waseem Zaffar opened the session revealing the vision for the growth of the city. He went on to detail how the negative consequences of poor air quality will be combated by the introduction of the CAZ, alongside the development of an enhanced public transport network, better cycling and walking routes and an improved infrastructure that will support low carbon refuelling. David Harris, Transport Policy Manager for Birmingham City Council opened the next session, providing a background and the purpose to the CAZ before summarising the key findings for CAZ consultation which ran from July to August 2018. David explained the CAZ is a ministerial direction that was issued in December 2017 and its purpose is to reduce the amount of journeys that need to be made, shift journeys to public transport and improve the cities air quality by stimulating the take up of low and zero carbon vehicles. During the session delegates were advised that the CAZ would apply to private cars and commercial fleets and that the CAZ would most likely be implemented within the A4540 Middleway Ring Road. Sylvia Broadley, Air Quality Manager, Energy & Transport, Planning & Regeneration for Birmingham City Council briefed the delegates about the key concerns raised about the CAZ. She addressed the concerns surrounding support for individuals and businesses by listing the considerations for mitigation measures and exemptions. Sylvia then went on to provide an insight in to the plans for a clean air strategy that provides a roadmap to deliver cleaner air in Birmingham to and ultimately beyond 2030. As part of the strategy, Birmingham City Council is supporting the development of the UK’s first low and zero carbon refuelling station at TEP. The TEP refuelling station is due to be open in April 2019 and Sylvia explained that further sites that mirror the TEP design will be developed in the near future. Following the presentations from Birmingham City Council, delegates were invited to an outdoor vehicle tour comprising of a wide selection of alternatively fuelled and Euro-6 lorries, vans and buses. A second workshop allowed those in attendance to find out more about rental and retrofits options available to them, this was in addition to a presentation about refuelling options from TEP director David Horsfall. Finally, attendees were able to hear from low and zero carbon fleets operators who shared their own experiences of running a sustainable fleet. To download the presentations from the Clean Air Roadshow please click here. To read the CAZ consultation summary document, please click here.